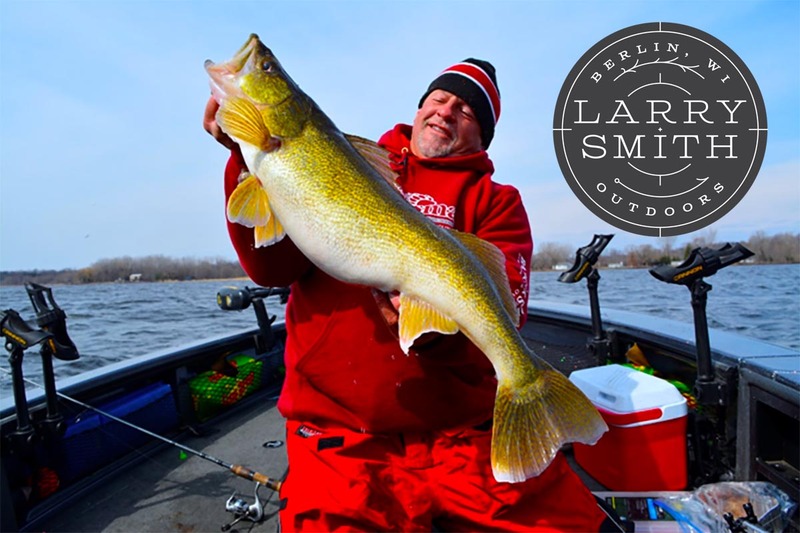 We are very excited and proud to be a product sponsor of Larry Smith Outdoors, a top-rated outdoor television show in the upper Midwest. Larry currently fishes with our various ice lines, including our US made tip-up lines, Power-Ice super braid, and our High-Performance Ice monofilaments. Larry also takes-on trophy fish during the open water months while using our lead core trolling line, High-Performance mono, and Power-Strike Super Braids. We are truly honored to have Larry on our team fishing with our products. We can’t say enough about how much Larry brings to the outdoors and to all of us who share the same passion. Our common interest in this awesome creation and all that it offers is why Woodstock Line Co. and Larry Smith Outdoors have chosen to team up together. You can follow Larry on social media, and find his entertaining videos on his YouTube channel. Also, be sure to check out his weekly TV shows on Fox Sports (North/WI), Spectrum Sports, and CW-18. 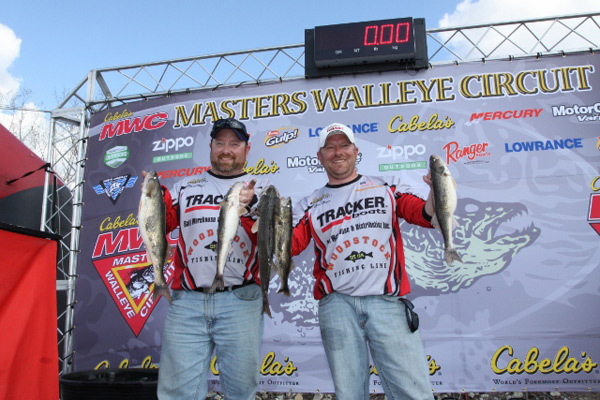 Guide Mike Hanson and his fishing partner JJ DeBernardi won their first Illinois Walleye trail team of the year title in 2014. This inspired the team to take on the MWC where they placed 4th in 2018 overall points race. They used Woodstock Power Strike super braid in a variety of techniques to help them place among the best in 2018. Big Water brothers Mark and Brian Mazur ran away with the 2017 IWT team title primarily trolling Woodstock 18lb. Lead core with cranks. They also used Power Strike super braid and High-Performance monofilament in secondary presentations to catch more than enough big walleye and sauger to secure their victory. 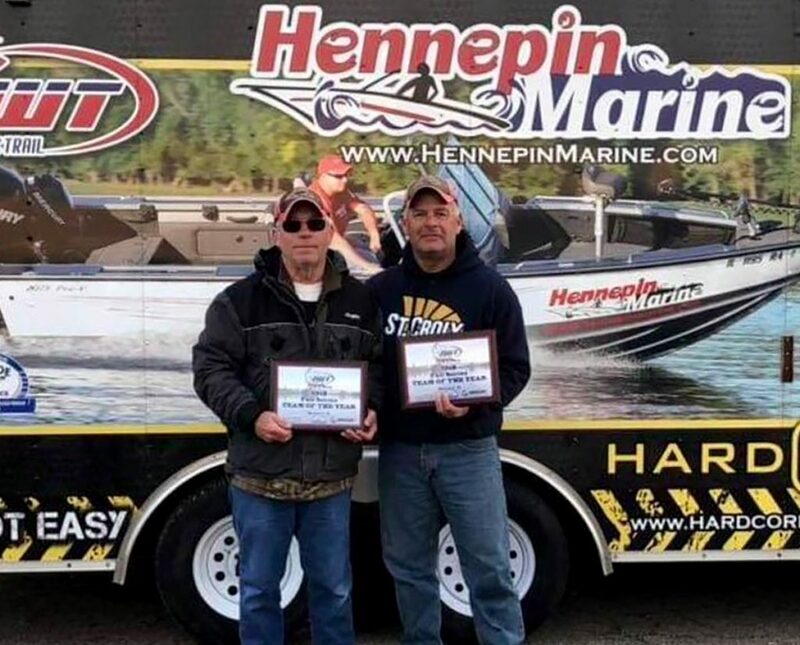 Former Cabela’s NTC champs Bob Hausler and Chris Clemmons captured the 2018 IWT title exclusively pulling 3-way rigs with Woodstock 10/2 Power Strike super braid main lines, coupled with 10lb. High-Performance monofilament leaders. Congrats Gentleman! 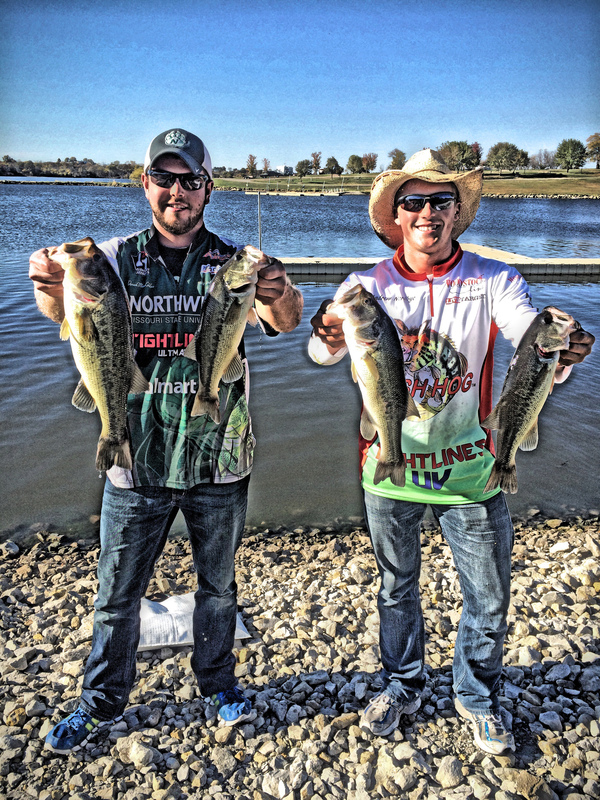 Andrew Nordbye took second in the Bearcat Fall Classic held October 25, 2015 on Mozingo Lake in Missouri. It was a tough day on the water with the lake turning over, a cold front coming in, and the bite turned off. The fish were not active and when they did bite, they barely ate the bait. Even with these conditions and 8 lost keepers – including a 5-pounder that was almost to the net – Nordbye and his partner caught 4 keepers and had the big bass of the tournament. Two keepers were caught in the trees on a Fish Hog Tackle punch jig tipped with a Tightlines UV jig trailer in green red flake color. The others were caught on an emerald-brown LiveTarget frog. Along with the frogs, Nordbye used Woodstock Line Company’s 65-lb Power Strike braided line saying “it is the smoothest and strongest braid I have ever used”. With this tournament wrapping up Nordbye’s 2015 season, he thanked those who have supported and sponsored him throughout. He looks forward to fishing the Nationals this coming spring and, with a win, the possibility of fishing in the Forest Wood Cup. 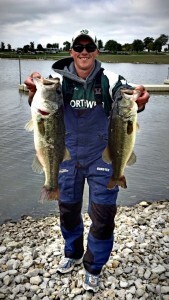 Last weekend, Woodstock Pro-staff member Andrew Nordbye took 4th in the N2IT Championship on Mozingo Lake. 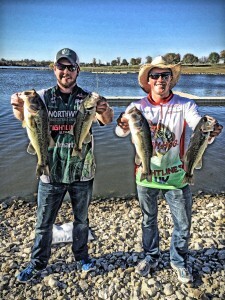 They ended the first day with 11 pounds with only 4 fish to weigh in. Unfortunately, he lost a 4-pounder at the net that would have been their 5th fish and won them the tournament. 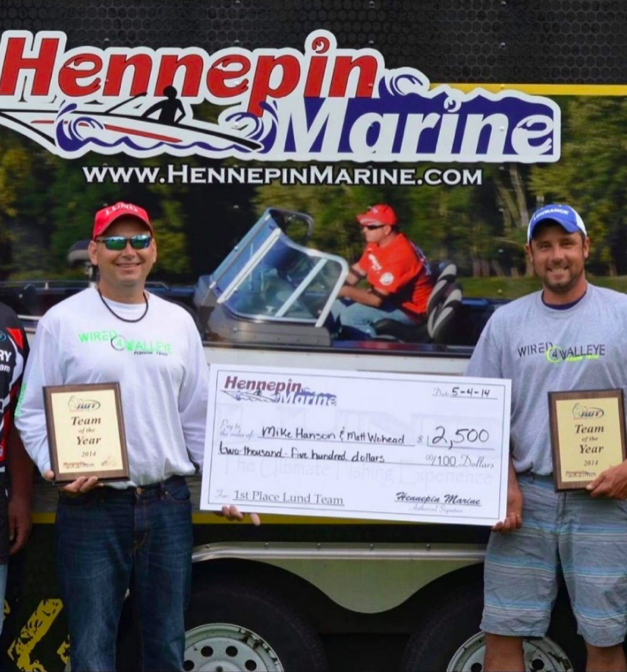 On the second day of the tournament, they had 19.5 pounds for a total of just over 30 pounds for the two days. The tournament winning weight was 33.5 pounds. 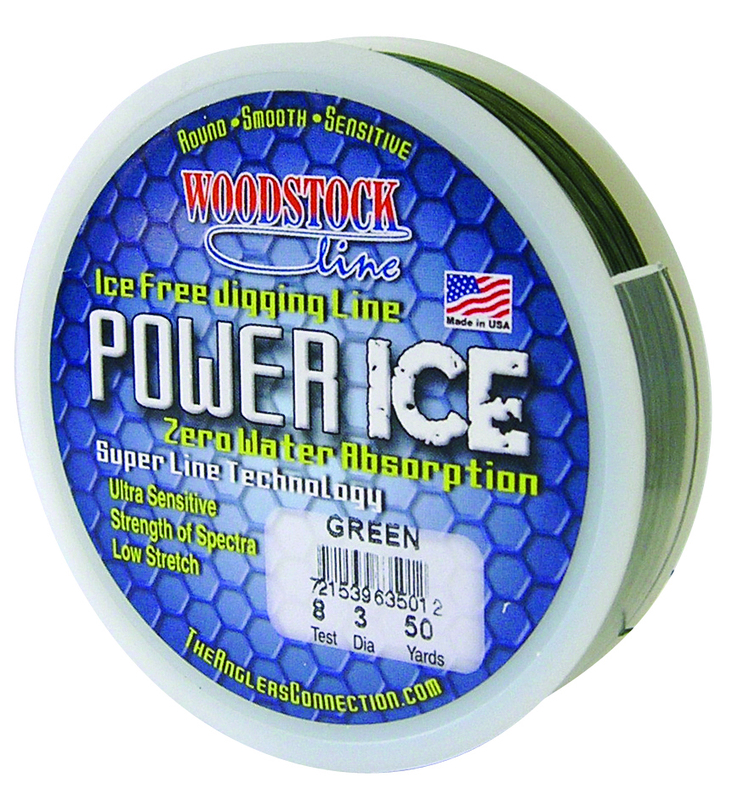 POWER ICE is the perfect ice fishing line. Since it is made out of Spectra Fiber and is encapsulated with a special coating. This line has minimum stretch and with its coating provides a water proof seal. This Super Line is produced from Spectra Fiber and is encapsulated with a special coating, giving it the strength of Spectra and the durability and diameter of the finest Mono filament line on the market today. Its perfectly round diameter and lubricity allows this line to pass through your rod guides with almost zero friction like no other line. This line was developed with minimum stretch and great durability for longer casting combined with the strength of Spectra braid. This new super line technology combines Spectra Fibers, encapsulated with a proprietary coating, making it tough as braid but feel and cast like mono. 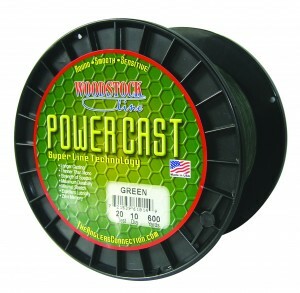 This new coating allows POWERCAST to have superior cast ability and distance compared to monofilament, fluorocarbon, or the standard braided lines. So, whether you are using a casting or spinning reel you will find POWERCAST to be the quietest and easiest to manage super line ever designed. 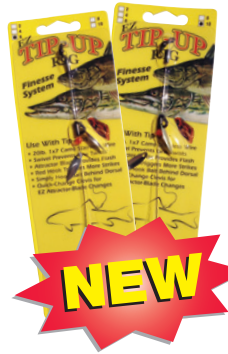 The EZ Tip-Up Rig is designed to be fished with a tip-up. 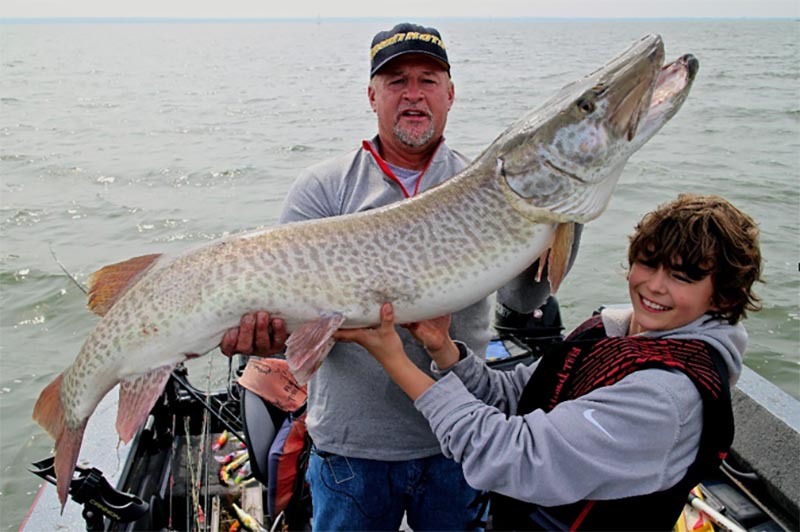 Simply tie it to your tip-up line, add a split-shot, bait the hook, and it’s ready to fish. 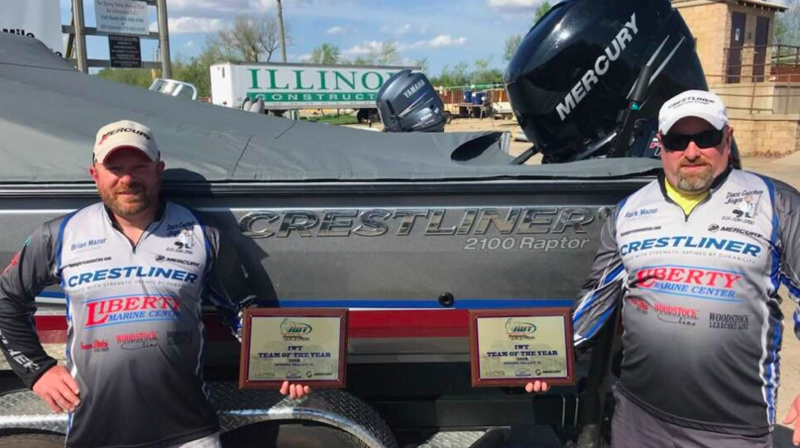 Woodstock Fishing Team members, Gary Merkel and Jason Wrosch took first place at the Illinois Walleye Trail State Championship this April. The two also won the Woodstock contingency bonus by being the top placing Woodstock Fishing Team. 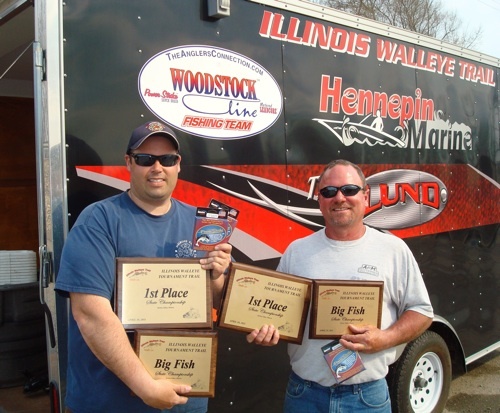 Placing second in the championship were Chris Clemmons and Bob Hausler, who are also members of the Woodstock Fishing Team. In fact six of the top ten teams use Woodstock’s Leadcore and Power Strike Spectra. 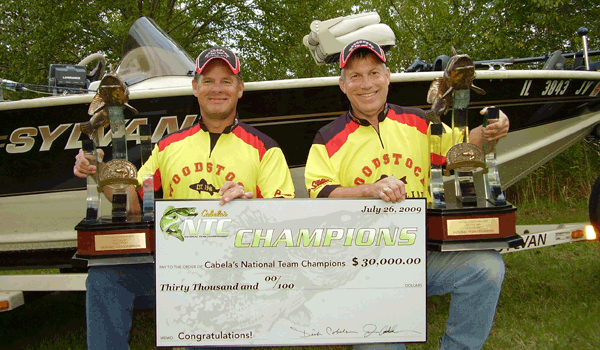 Thousands of walleye anglers from across North America competed to become one of 250 teams invited to the 2009 Cabela’s National Team Walleye Championship. 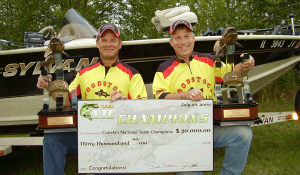 Chris Clemmons & Bob Hausler credit Power Strike for helping them achieve their ultimate goal.